The only country where never leaving your car makes total sense. Racing's on the mind this weekend, folks. 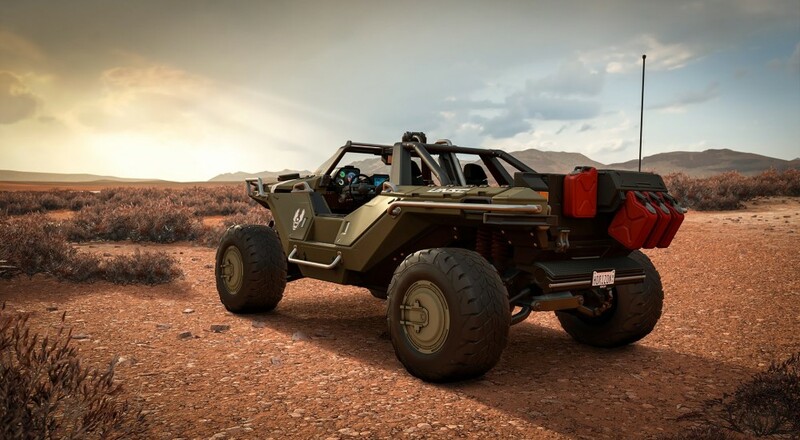 The Co-Opticrew has gotten a taste of the latest in the Forza Horizon series, and now we just can't get enough. It's like they say: Once you pop, you become addicted to cruising the Outback in pursuit of growing your brand and enticing more fans to join your absurdly destructive car festival until you're a dust-covered husk of your former self. Between the new Destiny expansion, DOOM, and Eternal Crusade, it looks like the staff's Adventures In Space will continue for yet another week as well. Here's hoping everyone returns in one piece. Nick Puleo (@NickPuleo) - "Forza Horizon 3 for me. Sounds like we need to get some Co-Optimus folks together. Who's going to make the official livery for our cars? :)"
Jason Love (@JLove55) - "I'll be continuing my pursuit of justice in the latest Ace Attorney title, and continuing the grind to Light Level 370 in Destiny." Mike Katsufrakis (@Pheriannath) - "Chalk me up for Forza Horizon 3 as well. Even if I have to play on easy mode. :-("
Marc Allie (@DjinniMan) - "Grinding an alliance event in Transformers Earth Wars plus some Hearthstone here and there as well." John Bardinelli (@itsamejohn) - "There's no time for games! I'm out exploring Glacier National Park, which means hiking and complaining about hiking." Locke Vincent (@LockeVincent) - "With all this car talk, I may have to jump on the bandwagon and see what Forza Horizon looks like running on a GTX1080... 60 fps anyone?" Sam Tyler (@thereelsamtyler) - "The world is my oyster as I plan to trade in some old titles and get something new, but what will it be? Doom? Just Cause 3? That new Sherlock Holmes game?" Tally Callahan - "I have a conference this weekend, so that will be most of Saturday. Other than that, trying to get in some co-op mode for Eternal Crusade (wish me luck) and playing some Alienation." Enoch Starnes (@enochstarnes) - "I'll be spending a lot of time desecrating the Australian Outback with my Subaru Impreza in Forza Horizon 3." Brian Harrison - "Still working on Dark Souls 2, with bouts of Smite thrown in for flavor." How about you? Is the allure of Earth's Most Dangerous Continent too enticing to pass up, or are you content to toil the weekend away on safer landscapes? Let us know in the comments! Page created in 0.6274 seconds.